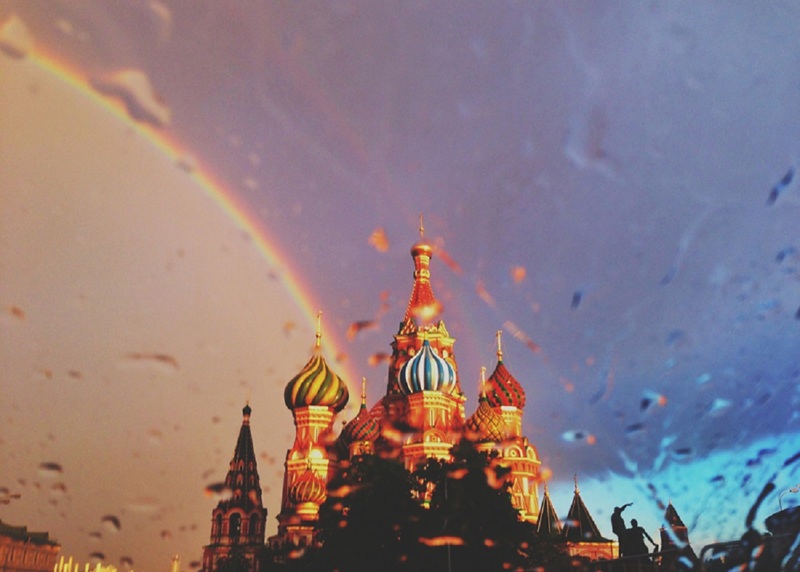 Cloudy and rainy weather is expected in Moscow during the next week. Thus on Tuesday, July 7, the cyclone will come to the capital and it will get noticeably colder in the city. Heavy rains are likely to go in the afternoon. At night, the thermometer will show 8-13 degrees centigrade and during the daytime, the air will warm up to 23 degrees. On Wednesday, July 8, the rains are not expected but the temperature will drop to 10 degrees at night. At the daytime, the air will warm up to 26 degrees. Thursday, July 9, will be the warmest day of the week. The temperature will be up to 27 degrees during the day and 15-17 degrees at night. However, it will become cloudy; thunderstorms and gusty winds will be possible. On Friday, July 10, the cold atmospheric front will come and bring heavy rains to the city. At night, the temperature will be around 12-17 degrees centigrade and during the day – up to 25 degrees. Rains are also expected at the weekend. The temperature at night will drop to 8-13 degrees and at the daytime, it will be around 23 degrees, which is below normal.